Is there a new diver on the block? Yes and no. 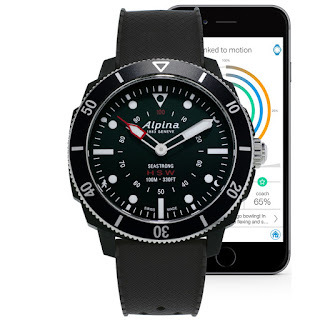 For Baselworld 2017, Alpina have extended their Horological Smartwatch collection to include a divers watch or put another way, they have added a smartwatch to their Seastrong divers collection, but is it really a diver? 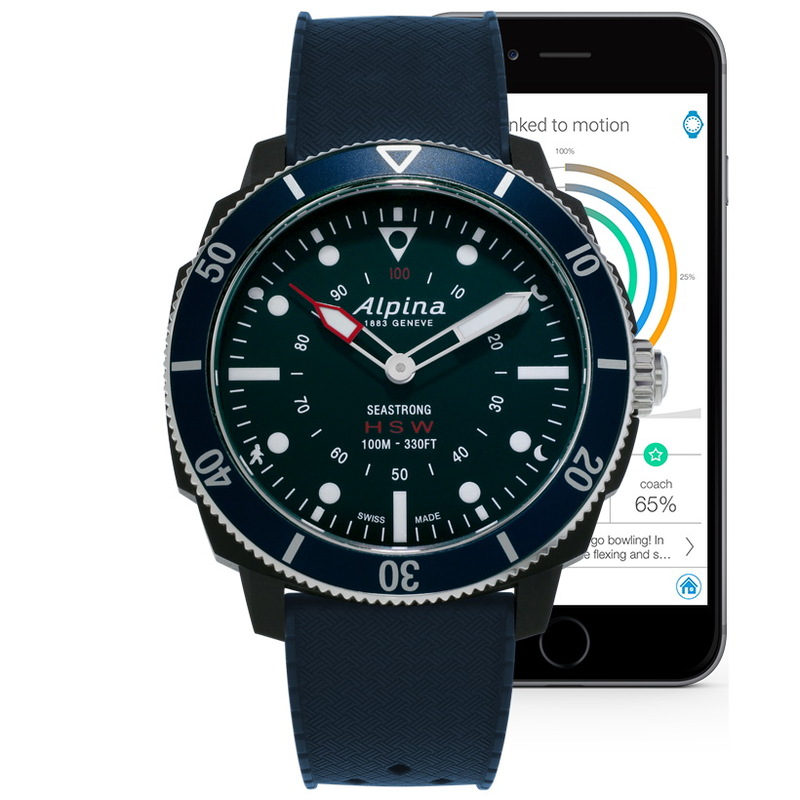 Well it’s certainly a step in the right direction – waterproof, ocean-ready smart watches are something that we’d have expected to come along a little sooner considering that a number of dive computers already double as wristwatches. So, is the new Seastrong Horological Smart watch really strong enough for the sea? What kind of smart functions is it able to utilize while – oh, I dunno – diving? Does it have a depth gauge function for example? No. Yeah, but at least it has the required 200 meters of water-resistance required to be a diver, right? No, it only has 100 meters of water-resistance. Why then are Alpina advertising it as their new ‘’diving’’ horological smartwatch? It ain’t, guys, sorry. They’ve been making divers watches since the 1960s, you’d of thought that they knew what one was. If we’re are to appreciate the Seastrong Horological Smartwatch, we’re going to have to look at it with a fresh set of eyes and see it for what it is – a luxury smart watch dressed up as a diver. Which isn’t such a bad thing, is it? With the AL-282 module technology created in collaboration with MMT, you can easily pair your Seastrong Horological Smartwatch to your iOS or Android phone through the MMT-365 app and immediately start using the multiple functions. automatically update your watch’s Time & Date, receive health tip, via the Dynamic Coaching, the Worldtimer keeps track of your hometown’s time, store your data on a Cloud & restore it if you lose your phone or watch. 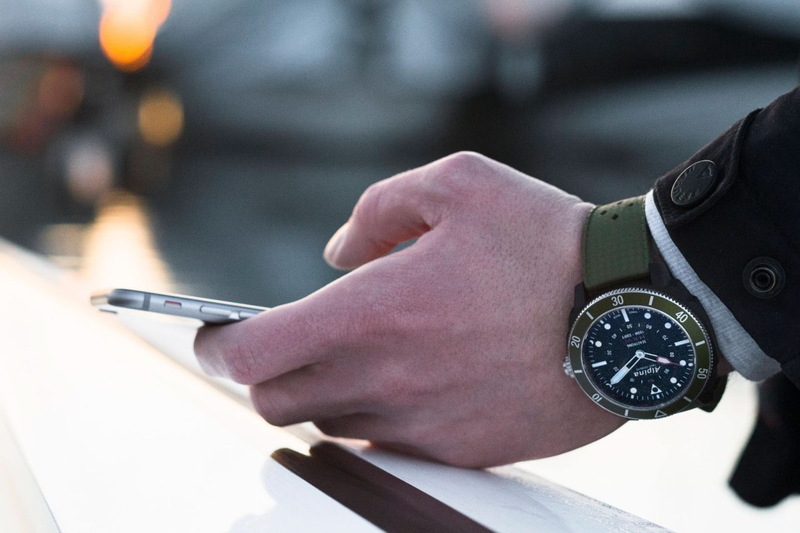 The Seastrong Horological Smartwatch is faithful to the traditional Swiss watchmaking codes. 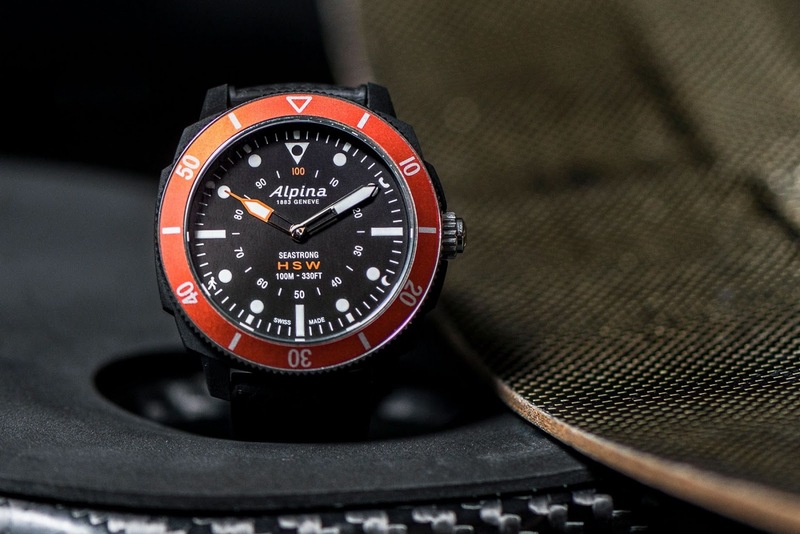 The design was inspired by the historical Alpina diving watches featuring a black or blue analogical dial with the iconic Alpina logo at 12 o’clock. Its 44m fiberglass case also features a 60 minute unidirectional timing bezel that could be used for timing pretty much anything. The collection presents 4 models, each sporting a different bezel color: black, green, orange and navy blue. MSRP is 595CHF.